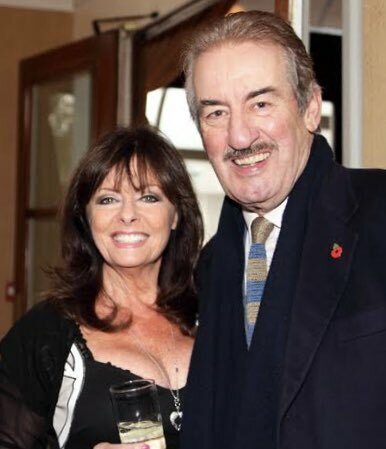 My special guest on the phone this week was John Challis, star of Only Fools And Horses and Benidorm. We had a chat about his time in TV and what he’s up to now. We also talked about Homeless Worldwide‘s new charity single, a new version of He Ain’t Heavy, He’s My Brother. This track, organised by Jenny Roberts and expertly produced by Pete Kirtley, features a star-studded line-up on the track, including Peter Andre, Lee Ryan, Natasha Hamilton, Newton Faulkner, Alexander O’Neal, Heather Small, Leee John, Errol Reid, Andy Abraham, Patti Boulaye, Chico, Nonso Anozie, Ray Lewis, Jake Morell, Judd Lander, Mel Gaynor and the London Community Gospel Choir. You can buy the single from iTunes by clicking here. I’ll be back on Phoenix FM next Sunday at 2pm – see you then!